Summer in Colorado is one of my favorite seasons, (bested just barely by fall, and only because that’s when my kids go back to school and I regain my sanity!) As a kid growing up here, I remember hot sunny days pleasantly broken up by a short lived mid afternoon rainstorm. The rain would sweep in and cool things off giving us a much welcomed reprieve from the heat, then move swiftly along in time for us to get back outside and enjoy the evening festivities. Most of my summer vacation was spent in my neighborhood, kicking back at the pool, biking around the ‘hood’ to visit friends, and partaking in outdoor night games with school mates. A couple times each summer, though, we’d pack up our camper and head for the hills to escape the city heat and hustle and bustle of the “intensely electronic age” we were growing up in, (as my father put it,) and get back to nature. If it rained, we’d crowd into the camper to play card games like ‘Spit,’ and ‘Spoons,’ or the classic board games, Parcheesi and Monopoly. During the heat of the day we’d go fishing, hike and explore our surroundings, or pop a cold coke and enjoy it with a freshly cooked hot dog while we contemplated how long of a nap we were planning on taking. It didn’t hurt that we owned a ski boat and would generally camp near one of Colorado’s lakes so we could spend the day cooling off and frolicking in the water on days where it was ‘hot as blazes,’ (my father wasn’t much on the heat, either.) If you like the idea of trying camping in Colorado’s great outdoors this summer, here is a link you can use to find out more about the many sites you can camp at and how to go about making reservations to visit there this summer. Colorado Campsite Reservations. 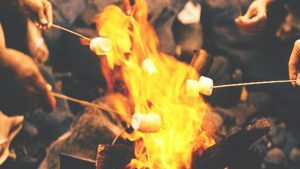 Being a tomboy, I loved camping, fishing, cooking over a campfire, (especially s’mores,) – all of it, and I looked forward to camping trips all year long. 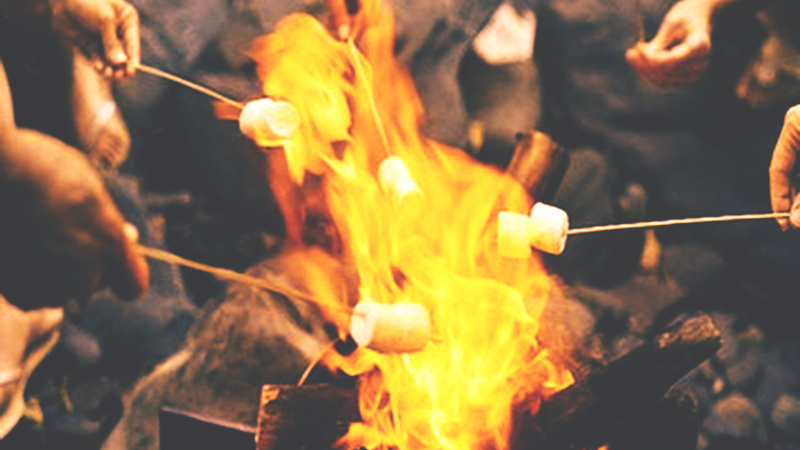 For some of my friends, though, I know the thought of camping, is, well, ‘yucky’. So what do you do if you want to go to get out of town this summer but don’t want to camp? Fortunately, Colorado has become quite the beacon for summer festivals, and many of them take place in our beautiful mountains with many comfortable lodging opportunities. If you are so inclined, you could attend a festival, (or two,) every weekend during the summer, we have that many! As a matter of fact, there is a website that now categorizes the festivals on content. Naturally a majority of festivals revolve around food and wine, check those out HERE. Music festivals also abound during the summer months here in Colorado. The infamous Telluride Bluegrass festival is in it’s FORTY FIFTH year! They must be doing something right, and it’s on my bucket list to get there one of these summers. 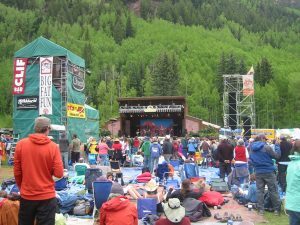 Telluride is an awesome summer destination, and if Bluegrass isn’t your thing, you can also travel down there for the 7th annual Ride Festival which showcases a broader music lineup including rock, jam band, folk and pop music. This year’s headliners include Sheryl Crow, The String Cheese Incident and Grace Potter with many other talented musicians featured throughout the weekend of July 14th and 15th. If the 6 hour drive from Denver to Telluride seems a bit daunting for a weekend show, there are other options that will get you out of town in a fraction of the time. I have made it to CountryJam in Grand Junction, about a 4 hour drive, and the Greeley Stampede, approximately 1 hour northeast of Denver multiple times in my life. These 2 festivals offer the best in country music and a glimpse into the country life. Great country fair like food and atmosphere, and non stop entertainment if you have the energy to get to it all. If you think I’m kidding about being able to get to a festival, or 2, or 3 every weekend, just check out “303 Magazine’s” list of Colorado’s 32 Best Musical Festivals. THIRTY TWO BEST? Geez..I wonder how many ‘just okay’ musical festivals there are that I might be overlooking? While I could definitely stop here, having covered plenty of things to do in just food, wine, and music, I would be neglectfully leaving out those of you that maybe don’t like food, wine and music…wait, what? Well, maybe you like those things, but don’t want to attend a festival celebrating them for 48-72 hours. That’s okay, I’m pretty sure there’s a festival that is appropriate for all ages and interests. 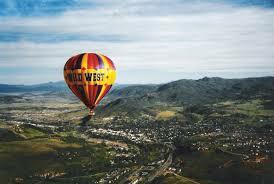 How about Steamboat’s Hot Air Balloon Rodeo? (I’m not sure how you round hot air balloons up, this one would DEFINITELY be worth checking out!) Want to really connect with the outdoors and enjoy nature? 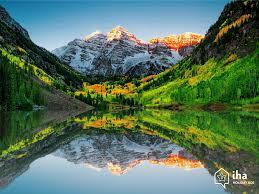 Try The Crested Butte Wild Flower Festival. Oh, man. The list goes on and on! What festivals have you personally attended that you would go back to? Please chime in and share your list with us. We love knowing what our friends and family enjoy, & personal suggestions are the best way to help narrow down the massive list. Until then, I’m going to go contemplate which festivals I’m attending this summer. This blog wore me out…I think I’ll contemplate my festival choices while napping.